My work ‘Swan Song of the Badlas’ revolves around the life of these Badlas and their families, their struggle, downfall and survival. Mukaish Badla is a form of embroidery, which at its peak flourished in the Indian city of Lucknow. At its peak, in the 18th century, the art form travelled to different parts of the world, but is now restricted to a few narrow lanes of the old city of Lucknow. The artisans who perform this art were at the time referred to as Badlas. They perform this craft by inserting metallic wires of gold and silver into the fabric eventually twisting it to create magnificent metallic embroidery on the fabric. These artisans, who devote their lives to the art form make a bare minimum of $2-3 per day, for concentrating and working in extremely harsh conditions for 10 hours everyday. The city once had more than 3,000 badlas, but now the number has come down to just 20-25, all of them aged above 65. Badlas complain about the practiced apathy of the government, which leads to further exploitation by their masters, who own the means of production and their lives, says 75-year-old Sabir Hussain, who has been working as a badla for nearly 65 years. The warehouses they work in are dingy, suffocating, and crippled rooms. Now only polished wires of gold and silver are used to perform this art. The art and the artisans might soon die a painful death amidst the frenzy driven by ‘development’ and ‘modernization’. These artisans are the real treasure of Indian art and craft as their work is unparalleled and authentic. Their population is dwindling and soon in not more than 20-25 years, will become a part of history which can only be recalled in a poignant daydream or a visual imagery. 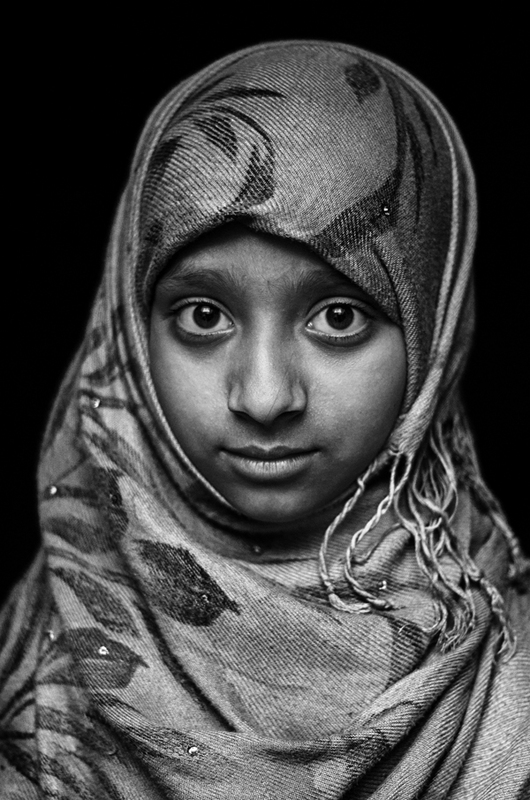 Taha Ahmad is a photographer based in India. He was born in Lucknow, in 1994. His work is a visual representation of the shift in pluralistic landscape, the traumatic past and the culture which is threatened by religious conflicts, social injustice, politics and the times we live in. Taha Ahmad has been the recipient of The Documentary Project Fund/Award 2017, Toto-Tasveer Award for Photography 2018 and the Neel Dongre Grant for Excellence in Photography 2016-17. His works has been widely exhibited includiing the Indian Photo Festival (IPF) Hyderabad India 2017, Eyes on Main Street Wilson Outdoor Photo Festival North Carolina United States of America 2018, Festival Influences Indiennes Angers France 2018, Addis Foto Fest Ethiopia Africa 2018 and the Photography Festival Maribor Slovenia Europe 2018,. 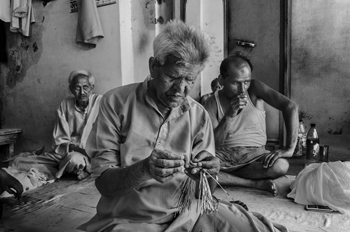 Taha’s photo story deals with the present struggle for survival of once a flourishing craft called Mukaish by the community of the Badla’s, patronized by the Royals of the city of Lucknow in Uttar Pradesh, India. The craft is full of extreme skill and created on fabric with help of silver wire, it is extremely ornamented and painfully time consuming for the craftsmen. The traditional aesthetic sense of design and patience has been a key to its success. This beautiful craft is going through a slow death in the present and changing times due to the new generations looking for a more global look, machine made fabrics and modernization in the world of fashion. Once the dressers of the Royals and the rich are today struggling to sustain through this elegant craft. Taha a local of Lucknow, spent months understanding and exploring the world of the Badla community. The documentation revolves around the present state and the everyday life of these artisans, their families and their work environment. Taha’s story with help of his powerful imagery questions their future against the backdrop of the historical township, and the dichotomy of an aspiring futuristic city.